by Steven Hawk © 2019 This content may be cited with written credits. All Rights Reserved. In the Book of Revelation 20:2-3, 7-8 and 10, this Christian Adversary called Satan that is personified as an individual serpent/dragon or monster, is described in chapter 20, in the above verses, as being first bound, then released (after the thousand years) and finally destroyed in v.10. If we are first open to the idea these things are highly symbolized to mean something else —but are still very real, no one is saying they are not real— and that they were given to be understood, then they will be understandable. First, the length of the binding of this Adversary (Grk. Satanas) is not recorded as being ONE thousand, it just says thousand (Grk. xilia), and since all of Revelation has figures of speech, metaphors, analogies (e.g. there’s a great dragon, a chain, an abyss etc. ), nothing is literal in that passage, so the thousand years is not either. To try and make a case that the thousand years is, is to make no sense out of anything else either. In this document we will also show you (besides the reason just given it is figurative) the thousand years in chapter 20 denotes a long indefinite period and why it cannot mean a short period. Contrary to popular belief and Christian tradition (which we assert to be Christian Myth and Jewish Fables that turn us from the truth) the Bible teaches there are several different Satans in scripture. The English word “satan” is actually a transliteration of an ancient Aramaic word that was transliterated into Hebrew, then into Greek (Satanas) and finally into English and the meaning is lost in those multiply transliterations. The past hundred years or so of study has brought an illumination to the problems with the traditional Satan, but most cannot or will not accept the basic truth that many of these passages are actually describing first century events pertaining to the Jewish leadership persecuting the Christians that we refer to as Preterism or fulfilled eschatology. Proper Preterism knows the binding of Satan WAS A LAST DAY’S EVENT (i.e. a thing that was “shortly” to take place). However, we will demonstrate in this short document, the release and destruction of Satan most certainly ARE NOT last day’s events! Thus, it is wrong to deny fulfillment and it is just as wrong to deny what is not yet fulfilled. The Satan we are focused on here is the Christian Adversary of the NT that the Revelation calls “the accuser of our brethren” among other things. Mat 12:29 Or how can one enter into the house of the strong man, and spoil his goods, except he first bind the strong man? and then he will spoil his house. Demons represent other things too in the NT that the Jews did not understand were the curses, as in Duet 28, (evil spirits such as madness) from YHWH for their continual harlotry (see our 2nd book “The Master of Deception”, but in scripture Jesus did not usually correct them, he instead showed the error in their own “traditions of the elders” did not add up. Neither Baelzebub, Demons, nor the Strong one of Mat 12:29 are related to the Satan that is bound in Revelation 20, they are only so in myths and traditions of men. There is no Lord of the Underworld with Demons below him —that is called adding to the word of God that brings judgment upon whomever does it. Does Full Preterism have another binding? Rev 12:10 informs us concerning what is bound and is of what Revelation calls “the synagogue of Satan.” There are only one group of people who attend a synagogue and after Christ was revealed a second time, as Heb 9:28 states, only Apostate Jews would attend a synagogue because Jesus made it clear those who accepted him, were of his body that most Christians call the church, not synagogue. ACCUSE (some of these may be repeats because of different translations in the search) …. Act_19:38 (ASV) If therefore Demetrius, and the craftsmen that are with him, have a matter against any man, the courts are open, and there are proconsuls: let them accuse one another. You may finish the list here. The “accuser of the brethren” is another way God describes this same adversary, perhaps in hidden code so the persecuted Christians in the first century (and Christians today) would know who it was talking about by deciphering (i.e. letting scripture define its own words) this phrase. The Abyss (the prison the adversary is locked in) = God’s judgment (Psa 36:6) upon Jerusalem. There is a great chain (symbolic for the war power) given to this messenger (angel) of war to bind this adversary. In Psa 36:6 it says God’s judgment is a great deep (Heb. tehome Grk. abbusos) or Abyss. Paul uses the Abyss as “a metaphor for the grave” in Rom 10:7 reinforcing our understanding of God’s judgment = the Abyss. We know this for certain because Paul knew that the body of Jesus was not to see decay (corruption, Psa 16:10 cf. Act 2:22-32). Death and the grave are the products of God’s judgment upon man as a result of Adam’s sin in the garden. In the following passages and many others Jesus clearly states that the wrath of Yahweh would be poured out upon the apostate house of Judah in the first century generation. This was God’s judgment (the Abyss) barring the Jews from Judea (the Abyss) for a [figurative] thousand years so they could not deceive the nations (Rev 20:3) during this long period. Luke 19:41-44 (comments and emphasis added) And when He was come near, he beheld the city (Jerusalem), and wept over it, Saying, If thou hadst known, even thou, at least in this thy day, the things [which belong] unto thy peace! but now they are hid from thine eyes. For the days (of justice) shall come upon thee, that thine enemies (the Roman soldiers) shall cast a trench about thee, and compass thee round, and keep thee in on every side, And shall lay thee even with the ground, and thy children within thee; and they shall not leave in thee one stone upon another; because thou knewest not the time of thy visitation (the day of wrath). The just wrath of Yahweh through Yahshua was surely vindicated when the Roman army “stoned” and “burned” the capital city Jerusalem in the 3 1/2 year period between 66 and 70AD during the Jewish-Roman war in the land of Judaea. Lloyd Dale again writes: In Rev 9:1 with the presentation of “the key” (authority to make war against the Jews) to the star (messenger) John marks the occasion by switching his terminology from “land” to “abyss” right in this verse: “And the fifth messenger did sound, and I saw a star out of the heaven having fallen to the earth (land), and there was given to it the key of the pit of the abyss,” but he also adds a new element “the pit of the.” This “star falling from heaven to the land” of Judaea and the presentation of “the key” to this “star” are of very special importance for the people of the land as well as for John’s primary audience of readers in the seven churches of Asia. The beast of Rev 11:7 and 17:8 that ascends out of the abyss (Judea, where God’s judgment by Christ was pronounced) are implemented by “an eighth king” of the Roman empire. Vespasian the Roman general that was dispatched from Rome (“heaven”) by the ruler of Rome, Nero ascended from the Abyss: Rev 17:8 (added emphasis) the beast (Vespasian) that thou sawest was, and is not; and shall ascend out of the Judaean pit, and go unto (the) destruction (of the Harlot, Judaea, Jerusalem, and the temple): and they (the apostate Jews) that dwell on the earth shall wonder, whose names were not written in the book of life from the foundation (beginning) of the world (Mosaic marriage covenant, Exo 17) when they behold the beast (Vespasian) that was (in Judaea), and is not (in Judaea but in Rome to be made emperor), and yet is (emperor, with his army in Judaea). God’s judgment pronounced from Christ upon Jerusalem (and their removal from the land) and recognized by the nations, is the Abyss this satan was locked in for a thousand years. Other previous claims by the Jews to the land (after their being ousted ca. 70AD) were not recognized by the nations, thus do not qualify as the release of adversary. Thus, in order for the release of this Satan after the thousand years the release 1) must be tied to the land with a claim by the Apostate Jews to the land, and 2) noticed or recognized by the nations, otherwise the nations could not be deceived! We have shown the thousand years is figurative. Since it is being used in a metaphoric manner, it must mean more than a thousand if language is to be honored. Any objections to that, we turn to the identification of this adversary that signifies and specifies the length it is bound. The thousand years denotes an indefinite long period that satan is bound in comparison to the short period satan is loosed. It’s a contrast of “long period vs. short period”. The identification of this Christian adversary tells you exactly when the binding and the release of it occurs! …. meaning a lot. We still today use the word thousands in the same manner. Even without Strong’s claim, the text does not state ONE thousand, it just says thousand, and since all of Revelation has figures of speech, metaphors, analogies, there’s a great dragon, a chain, an abyss etc. Nothing is literal in that passage, so thousand(s) years is not literal either. Revelation 20 is a series of prophetic visions that convey truth through the use of imagery (symbolism). Therefore, to begin this chapter with the interpretation that John is describing a literal thousands years does not fit the genre. NO key elements in this passage are literal, thus to try and make the case the thousand years is literal runs counter to the rampant symbolism and makes the rest of the narrative meaningless. Likewise, the 144,000 Israelites in Rev 7 and 14 are not to be understood as exact numbers for 12,000 in each tribe either, but portray completeness of GREAT NUMBERS in the same fashion just explained. In Rev 20:3 satan (the adversary of Christianity, “the synagogue of satan” Rev 2:9, 3:9) is bound specifically that “he should deceive the nations no more.” And then notice in verse 8 he (the Zionist Jew, the great harlot, the deceiver of the nations) is released to “go out and deceive the nations” again! Since we have shown that “the strong one” of Mat 12:29 cannot be the Christian adversary personified as Satan in the symbolized book of Revelation as Full Preterists posit and since the binding aspect of the above did not take place until 70AD it is totally impossible that the “thousand years” could be referring to the 40 year period which began in c. 30AD and ended in 70AD, as some insist. In Romans 16:20, in the YLT (cf. Gen 3:15), Paul writes to the Christians at Rome that “Yahweh of peace shall bruise Satan under (their) feet shortly.” It appears to us according to audience relevance in this verse either some of those Roman Christians had been drafted into the Roman army or Paul was using the audience relevance (your feet) in a unanimous manner. What other adversary (satan) was “bruised” and “bound” shortly after Paul wrote those words? Since we now know the identity of this Satan and the fact that we see this entity actively deceiving during the period between 30-70AD, such as in 1Th 2:18 “because we would fain have come unto you, I Paul once and again; and Satan hindered us.” (written ca. 52AD) and 1Ti 5:15 “for already some are turned aside after Satan.” These are just more examples that makes this view untenable and must be rejected. Ostensibly the “thousand years” ended in 1948 or soon after, when Zionistic Judaism was again established (released) in the land of Judaea. Current world events certainly confirm that the nations are being deceived by something; as it certainly appears that they are being “gather(ed)…together for battle against Christianity (the beloved city) in general, and the Christian west (the camp of the saints) in particular. It is extremely interesting that the scenario which John describes in Revelation 20:7-9a appears to be taking place in the very “world” in which we are currently living, and Jerusalem, for whatever reason, is right in the middle. It appears that we may be in for some very “interesting” times as these events continue to play out. It is certainly true that Zionistic Judaism and Dispensational eschatology have worked “hand in glove” to deceive the nations during the past 100 years with their false claims that are amazingly similar given the ostensible diversity of their origins and identities. The destruction of this adversary that is now released (Rev 20:3 “…after that he must be loosed a little season.”) for a little season, some translations merely state it is a little while. Again, this little while this adversary is loosed is being contrasted to the long period it is bound called the thousand years, so while there is no definite time period stamped on it, we can know the length because of the identity of this Christian adversary we have now identified! It is further verified by the presence of Gog and Magog that is presumably destroyed around the same time the Gog and Magog armies are dealt with by God (Rev 20:9), only one verse earlier. Rev 20:10 (w/added emphasis) And the devil (slanderer of Christianity, the present day totally delusional counterfeit Zionist entity masquerading as a Democracy and God’s chosen, causing wars and deceiving millions) that deceived them (the nations) was cast into the lake of fire and brimstone (destroyed), where the beast and the false prophet (were also thrown in a thousand years earlier in ca. 70AD, see Rev 19:20-21), and shall be tormented day and night for ever and ever. Proper Preterism is NOT Partial Preterism that requires some future second coming of Christ and future resurrection of the saints. Proper Preterism does NOT violate or distort ANY imminent time statements, but rather, puts them in their proper context. EXAMPLE: Luk 21:22 ….properly, it is ONLY “all things written” pertaining to the “days of vengeance” that is right in the verse! The fulfillment of “all things written” was about the days of vengeance specifically and not all things in general. It does NOT mean that the days of vengeance would fulfill all prophecy. Full Preterists abuse Luke 21:22. Further, the phrase “all things written” does not pertain to ALL of the NT writings that had NOT yet been written and it would be anachronistic to include them in the context of this passage. WHEN Were these “Days of Vengeance” Jesus Was Speaking of? The Parousia most definitely occurred and was “visible” in the events of circa AD70. We side firmly with Douglas Wilkinson and Jerel Kratt (Perpetual Millennium Preterism)that emphasizes the subtle but very important nuances between “Erchomai” (arrival) and “Parousia” (ongoing presence after arrival). Thus, we hold that the Parousia indicates the beginning of the Millennium, the ongoing presence of Christ since accessing his throne of David, ruling and reigning with the Saints while subduing the nations of mankind from the heavenly realm. We firmly reject any eschatological view which posits the Millennium of Christ as terminating in AD70. Such views overtly violate Christ’s clear statements concerning when He would officially take seat with his Saints on the Throne of His Glory (Throne of David) in Matt 19:28, Matt 25:31, & Rev 3:21. While we believe Christ’s kingdom will never end, we do see an end to some Messianic duties once the nations are fully subdued. In our view, this would be the point at which Christ delivers the kingdom to the Father according to 1Co 15:23-28, having accomplished all work the Father gave him in the reconciliation of all things. We believe that the regathering of the twelve tribes of Israel was accomplished by AD70 and was completed by Paul’s ministry to the Gentiles with the “ethnos” being called to believe Christ’s gospel. The term “ethnos” (Gentiles) simply means “the nations” which, contextually in the 1stcentury AD, meant anyone from ANY nation. This also included the Israelites (northern tribes) of the Assyrian exile from the 8thcentury bc, referred to as the House of Israel or Ephraim (as opposed to the House of Judah, still in the land in Christ’s day).Since her creation, Israel was always supposed to have been a nation according to FAITH rather than pure blood lines. Paul clarified that beyond any possible misunderstanding in his several epistles. We comprehend that the northern tribes were dispersed completely (Hos 1:9) and were inseparably SEWN AS SEED INTO the Gentile nations (Ezekiel 22:15 LXX “scatter”, Greek diaspiero“to sow seed”, Hos 8:8) by God’s own design (prior to the Babylonian captivity of the southern tribes) through the Assyrian process of relocation, forced intermarriage, and total cultural/religious assimilation into the diverse pagan cultures of the nations which they conquered. After several hundred years they lost all identification with the nation of Israel culturally, covenantally, socially, geographically, religiously, and genetically. Thus, Paul realized that it was only through calling the Gentiles corporately that he would ALSO accomplish the miraculous regathering of the 12 tribes in Christ by FAITH. Unlike the IO proponents, we do not believe Paul was mystically calling ONLY the so-called “lost northern tribes” since God’s reason for the divorce was to bring them back along with the other nations in righteousness through Messiah. In Paul’s day, there remained ONLY GENTILES and JEWS and a true Jew was a Christian (the believing remnant, Rev 2:29). PLUS a NEW THIRD BRANCH: other believers from the nations) of Israel in which the believing remnant from both also had to be gathered unto Messiah, the new green branch they ALL had to be grafted into (Isa 4:2, 11:1, 60:21; Jer 23:5, 33:15 et al) the true olive tree Jesus Christ. IO Preterists have tried to tell us Luke 21:24 is a parallel to Rom 11:25, but it is NOT, because Rom 11:25 is talking about Ephraim’s descendants or the northern tribes! Ephraim’s descendants were instrumental to possess and inherit the nations (Isa 14:2, 54:3) in God’s plan to bring in the nations. Nor is Luk 21:24 a reference to Rev 11:2 that only tells of the BEGINNING (not the end) of Judah’s dispersion. Further, Paul was most certainly aware that the nations would also be granted access into the kingdom according to Isaiah 49:5-6. We believe the First Resurrection (Rev 20:4-5; 1Th 4:16) correspondsto the resurrection of the 1stcentury Saints, the Bride of Christ, the 144 thousand “virgins” from the 12 tribes (Rev 7, Rev 14:1-4).These were made up of both Jews and Gentiles (One New Man) reconciled in Christ according to FAITH. The first resurrection was largely an invisible event in heaven (i.e. souls Rev 20:4) tothe world coincident with AD70. According to Christ’s own statements correlated with Revelation 20, the Millennium would begin when Christ would officially be seated “on the throne of His glory.” We are aware that nearly everyone in the Full Preterist camp holds that Christ was seated on the throne of David at his ascension to the Father. However, we believe a closer reading of scripture tells a significantly different story. First, Isaiah 9:7 tells us that Christ’s KINGdom would be ESTABLISHED with JUDGMENT, as did Christ in Mat 21:43, 23:38. That judgment did not come until AD70. Secondly, though Christ was most certainly seated at the right hand (throne) of the Father at his ascension, this was not the same as being seated on “the throne of HIS glory” (the throne of David). Jesus plainly informs his faithful that they would be seated WITH HIM…on HIS throne…at the very time HE is seated at the Parousia. We cite Mat 19:28, 25:31; 2Ti 2:12 and Rev 3:21 in support of our exegesis. Furthermore, Christ was told to WAIT UNTIL his enemies were made his footstool (put under his authority). (Psa 110:1) “But this man (Jesus), after he had offered one sacrifice for sins forever, sat down on the right hand of God; and from there He is waiting for His enemies to be made his footstool.” (Heb 10:12-13, emphasis added) As Hebrews was written ca. 64AD, several years after 1Corinthians was written. According to the author of Hebrews, Jesus was still sitting at the right hand of the Father in ca. 64AD, because He was still waiting for His enemies to be made His footstool. This “waiting” signifies that Christ was not yet acting officially in the role of KING, but as the PRINCE IN WAITING (Act 5:31, 3:15 also see Dan 9:25-26; 12:1) until he accessed the throne of David and became King (Rev 11:15) to sit in judgment in AD70. Until that time, his enemies, the rulers of 1st century OC Judah, were still in full authority while the physical Jerusalem temple yet remained standing. He could not be KING until they and the Levitical priesthood were removed (Heb 8:4, 9:8). The entire book of Hebrews (notably Heb 8:1, Heb 10:12-13) thoroughly informs us that Christ’s role was in the heavenlies from the time of his ascension to AD70 to perform high priestly duties, rather than act as King. Kingly duties would come at AD70 when he began judgment that was also from heaven (1Pe 1:4-5; Col 1:5; 2Tim 4:18 et al). Absolutely without question (Luk 21:24 et al). Salvation is man turning from a life of pursuing carnal minded wickedness to receive God’s provision (the atoning blood of Christ) for his “missing the mark.” It is the NC offer of the blessing of eternal life in the Kingdom / City after this physical life ends while also experiencing the amazing blessing of walking DAILY in (the spirit) fellowship with Christ by faith and having him dwell inside us spiritually in THIS life. This blessed fellowship is experienced both individually in private and corporately as believers gather together to worship our LORD. The Kingdom was established in the judgment of Israel in AD70 (Isa 9:7, 29:9; Rev 11:!5 and 20:4) and the destruction of the harlot, apostate Judah. The Kingdom has no end, no matter what events may transpire temporally. The Millennial Reign of Christ with his Saints in the heavenlies continues today until he abolishes all rule and all authority and power and delivers the kingdom to the Father that the Father becomes all in all. We think this is when all finally know the one true God. This process officially began at the overthrow of Jerusalem and the OC (Mat 21:43). The gospel continues to call all men to faith in Christ as he is still bringing the nations into subjection to his authority and rule. Our exegesis and grammatical studies lead us to conclude that AD70 brought about the coincident “binding” of Satan in the Abyss to prevent FURTHER deceiving of the nations (Rev 20:3) and the judgment of the Harlot because SHE HAD ALREADY BEEN deceiving the nations all throughout the 40-year gospel period (Rev 18:23). Since that is the purpose of the binding, and the nations during the 40-year period between 30-70AD were still being deceived and people were still falling away from the faith as a result of that deception (1Ti 4:1) we must adamantly reject the FPist 40-year binding theory. We reject the claim of being partial preterists because we consider that the writings of the NT apostles and prophets of Christ fall squarely OUTSIDE the purview of “all things that are written” which was only speaking to last days events (days of vengeance) that ended ca. 70AD. When Christ spoke those words in Luke 21:22, even HIS words had not yet been written, let alone the rest of the books of the NT. We believe that the majority of Revelation points to and enhances what the OT prophets wrote concerning the eschaton. However, we also perceive that Revelation contains NEW information that gives us a glimpse of things that would transpire AFTER the fall of Jerusalem and into the ongoing Millennial Reign of Christ and beyond (Rev 20-22). We marvel that everyone is so intent on describing and discussing the END of the OC but seem to give almost no thought to Christ’s glorious Millennial Reign of the NC in which all things are to bemade new! We strive to always be ready and willing to amend our position as new information and exegesis might prove us to be erroneous in some point. Therefore, we are not locked into any rigid 70AD hermeneutic (while still acknowledging its significance as the destruction of Jerusalem) and therefore yield at all times to the scriptures as we continue to learn and grow in the Lord. Please read this vital information in its ENTIRETY! Contact us for the full version. You need to notice a few things: God split the tribes (northern Israel and Southern Judah), He divorced Israel, but stayed married to Judah even though we just read she was a harlot too, because Jesus would come through that lineage. Also, we are NOT saying “individual Jews” are condemned and cannot repent! Repent as in change their minds about scripture. But, Christ was and is the last chance who came in the last days of which we are no longer in (Mat 21:37;41; Luke 21:22 with Isaiah 61:1-2; Heb 1:2; 1Peter 4:7 et al). It is important you look up those “last days” scriptures because the church has missed AND DENIED some crucial FULFILLMENT that is also a huge part of this enigma. The NT is talking about the “LAST DAYS OF THE MOSAIC MARRIAGE COVENANT AGE!” You failed to ask: The Last Days of what? This does not mean everything is fulfilled, but we should not deny what has been and MOST churches are! The rapture of Christ’s Presence in you is what you should want. Christ is Present Here and Now. His sheep hear His voice and follow Him. Those who say He’s coming some day, deny His Presence and call Him a liar. His second coming he alluded to many times occurred. If you can’t see Him (not visual, but perception), you are likely not one of His sheep. “Yet a little while, and the world sees Me no more; but ye see Me: because I live, ye live also. At that day ye know that I am in my Father, and ye in me, and I in you.” IV gospel 14:19-20 He came, Came & destroyed the Sodom-Babylon of Jerusalem in 70 A.D. as He said He would. Christ’s judgment, IN THE FIRST CENTURY LAST DAYS, was declared upon “the House of Judah (the Jewish kingdom, city and nation)” to be desolate. Please let that sink in, overlooking this is one of the greatest, if not thē greatest deception in Christianity today and a huge part of the deception is Christians mistaking the Jews for Israel, remember we talked about when God made the split and we know why. The next verse of that passage Christians use to say the Jews will accept Him at His second coming (…seeing Him whom they have pierced Rev1:7 cp. Zech 12:2,9-11) but His second coming in judgment was to destroy their House (vindication on the House of Judah) as He just foretold in the prior verse, not to give them a future sign or come for a special trip for them sometime in the future. The House of Judah (not individuals [though individuals can be of this GROUP] who call themselves Jews that we hope and pray accept Christ as their Savior – as we hope for all other peoples) is the “dry tree” Jesus foretold of. They are the GROUP called Judah today. This is much further elaborated on in Book 2 of the series (available now) entitled “The Master of Deception” (see last page of index of this book – and a picture of the cover – for details on how you can get the book). WE KNOW GOD SPLIT THE TRIBES. SO HOW IS ROMANS 11 TO BE UNDERSTOOD? Just as we learned in Part I of the book about the fourth gospel 3:16 – the Greek text is very clear. The word translated “So” [Greek outo] literally means, “In this way” or “In this manner.” So Paul is not using the word “so,” but is elaborating on the manner in which “All” Israel shall be saved. He is not saying that every genetic Israelite will be saved. The key is in Rom 9:30-31 and Rom 11:26. Paul knows that “the nationals that are following after righteousness” and have attained unto righteousness (v.30) include descendants of Israel, divorced and scattered among the nations from the 8th century BC. 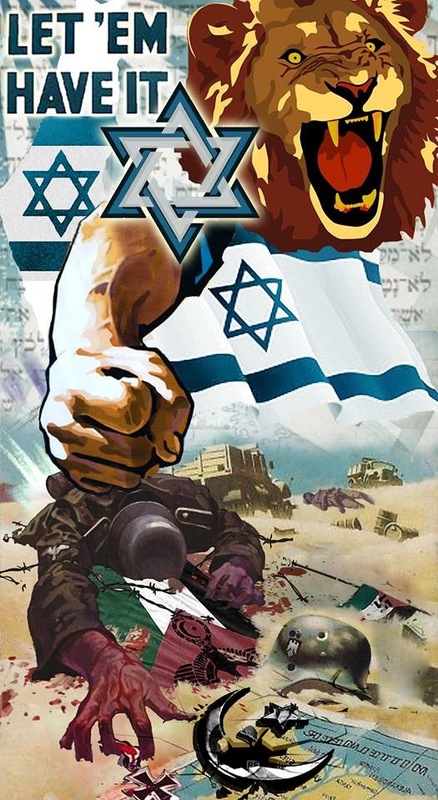 They are the ones that must fulfill the prophecy of the “melo ha goyim” (fulness of nations) of Gen 48:19 and by their salvation “all Israel shall be saved.” The salvation of “all Israel” is accomplished by the salvation of the fulness of the nations, not by a future awakening of Apostate Judah as a nation because this was a first century event. The nations are still hearing the gospel though as Luk 21:24 states. Peter elaborates and confirms that salvation is now open to ALL who fear God and is no longer a monopoly reserved (as they taught) to one nation or people. Peter is affirming through the gospel going out to the whole world what was said to Abraham that he would be a blessing to ALL the families of the world (see Gen 17ff). The point is that we were told in Jer 31 in the new covenant God would bless the Houses of Israel and Judah in the manner we are seeing today since the first century; and He did that in a very unique way – by divorcing and scattering Israel into the Gentile nations then calling them back in belief and righteousness. In the scripture you will not find a single verse of scripture that teaches that God had a plan to change this all inclusive plan and revert to an exclusive salvation where only one nation would be eligible. So God is NOT going to again deal with people based on race, ethnicity, nationality, or genealogical descent. Since we have already explained Romans 11:26 “blindness in part has come to Israel…”, by demonstrating the end of the exile through Christ and the restoration of the kingdom (in a heavenly sphere, but also somewhat earthly for us mortals who are in a type of prenatal stage) to the Israel of God (Gal 6:16; Eph 2:12), we do not have to expound on this verse. However, we continue to debunk the idea of dispensationalism, because it is a subtle, ominous sin, working against God. The Galatians had foisted upon them this Jew-centric deceptive (Gal 3:1f) interpretation. They did not understand the mystery of the gospel, and thought physical Israel (whom they falsely call the Jews) had a permanent place and priority in the plan of God. This same deception, of a counterfeit Zion, is being taught in many of the churches in America and Christianity today. It is sometimes referred to as “dispensationalism (futurism that denies fulfillment)” and is closely linked to Zionistic Judaism. Paul adamantly refutes this in Galatians 1:8f, et al in no uncertain terms as a false gospel. The things we have learned here does not sound like a simple blindness, or hardening of the Jews as the Zionist falsely attribute that verse that was to the NORTHERN TRIBES. It sounds more like God fed those who were opposing Him strong delusion that they’d believe the lie they wanted to believe, then He destroyed them out of the land, and they became a “dry tree.” Luk 23:31 For if they do these things in the green tree, what shall be done in the dry? This, He spoke of their treatment (ruthlessness) toward Him because of their rebellion toward God. Here, in a sense, He was foretelling the heinous acts they would do as a restored people (nation TODAY) thereafter, because (even though they were a circle of bad guys) they were still a green tree when they possessed the kingdom (Mat 8:12, 21:43). Rom 11:33 O the depth of the riches both of the wisdom and the knowledge of God! how unsearchable are his judgments, and his ways past tracing out! For years I have been studying Preston’s writings on the subject of the Millennium which he erroneous believes to be the forty year period from the resurrection of Jesus Christ up to the destruction of Jerusalem in AD 70. Although Preston regularly asserts his forty year view, as far as I can tell, he has not presented a cogent explanation of why and how he initially arrived at that view. This article is being written to interact with Don Preston’s erroneous 40 year Millennium view in general and more specifically with his article entitled “The Millennial Martyrs” in his Objection Overruled! Column in the winter, 2014 Vol. 9, issue 4, of “Fulfilled! Magazine.” The title of this article is very misleading as the Scriptures do not give us any examples of anyone being martyred in the millennium. This concept of persons being martyred in the Millennium appears only in the erroneous paradigm of the “forty year Millennialists” who claim that the Millennium occurred during the forty years from ca. 30 – 70 AD. While Preston accuses Jordan of holding to an erroneous “foundational presupposition,” Jordan was/is certainly correct to assert that the “Millennium began in AD 70.” Contrary to Preston’s assertion, that his article “falsifies the idea that the Millennium began in AD70” – it did nothing of the kind. Preston is very fond of laying out what he thinks to be the “flawed presuppositions underlying” the works of others, such as James B. Jordan, whom he debated in 2004. In this article, we will identify the “flawed presuppositions underlying” Preston’s erroneous forty year millennial view. We also assert that “the full measure of the martyrs had been reached at the initiation of the Millennium by resurrection of the martyred of the ages in AD 70. Now, in our opinion, this is where Preston completely ‘jumped the track’ and headed down the wrong road. It appears to us that Preston’s claim that the martyrs were “to wait — for a thousand years… ” is a complete fabrication on his part. Were does the text in question, Revelation 20:4, state, or for that matter even imply, that they were “to wait” for anything – let alone a thousand years? Now let me ask the reader, do you see the word “wait” anywhere in that text? Of course not, because it simply is not in that text. Second question, do you see anything in that text that even implies a “wait”? Of course you do not because there is simply nothing in that text that implies a “wait”—to say nothing of waiting for a thousand years. Where does Preston get the entirely erroneous notion that anyone in this verse is “waiting – for a thousand years”? Nothing in the text makes such a statement, nor even implies such an idea. At this point, Preston and everyone else who studies this verse should have stopped and asked a question: “Who are the ones to whom Jesus gave the promise that they would “sit on thrones and judge…?” Try as I might, I have found no place in Preston’s writings where he has even asked this question, let alone actually answered this question. So, let’s answer this question for him. last one of them, “…came to life (i.e. were regenerated in the “first” resurrection) and began the reign with Christ…” Contrary to Preston’s erroneous position, “judging” and living is not “waiting” it is actively functioning in His heavenly kingdom (2Tim 4:18)! It gets even worse, because Preston continues, “…they were awaiting the Resurrection and the New Creation. This is critical.” Don is certainly right about something here, “it is critical!” In spite of the fact that Revelation 20:4 specifically states that “those sitting on the thrones,” those who had been killed “for the witness of Jesus,” those “which had not worshipped the beast” “came to life and began the reign with Christ.” Stated in plain English so that NO ONE should be able to miss it – Revelation 20:4, especially when compared with Matthew 19:28, 25:31; Luke 22:29-30; 1Corinthians 15:23c; and Revelation 3:21; specifically states that all of the individuals involved in this verse were regenerated to new life in the Resurrection in the Parousia of Jesus Christ. In that verse it is plainly stated that all of those people had just been regenerated to new life in the Resurrection and that they all, each and every one of them, were at that very moment in the New Creation, in His heavenly kingdom – Paradise — living “with Christ”!!!!! In the light of that very clear and salient fact, how can Preston claim that “they were waiting for the Resurrection and the New Creation”?? It is true that these verses do indicate “a time of waiting for the filling up of the measure of martyrs” for it was said unto them “rest a little longer until the number of their fellow servants and their brothers should be complete, who were to be killed as they themselves had been.” It should also be noted that there is no stated “promise of full vindication at the Great Day of the Lord” in these verses; however, it is implied in the statement “rest a little longer.” Finally, these verses in Revelation 6:9-11 simply do not mention “the resurrection,” and “the New Creation”. It should be noted here that the “ground” of Genesis 4:10-11 is the “altar” of Revelation 6:9 and the “cry of the blood” is the same, i.e. a cry for vengeance to avenge the blood of the slain martyrs. This clear relationship between Revelation 6:9-11 and Genesis 4:9-11is a clear indicator for the perceptive reader that the words of Jesus, “so that upon you (the apostate Jews of first century) may come all the righteous blood shed on earth, from the blood of innocent Abel to the blood of Zechariah the son of Barachiah, whom you murdered between the sanctuary and the altar.” (Mt 23:35, emphasis added) are being acknowledged as being fulfilled within these verses in Rev. 6:9-11. Thus, we see that the martyrs “under the altar” as including every martyr from Abel forward until ca. 64 AD, the beginning of the Neronian persecution. Those that are to be martyred later during the Neronian persecution are described here “the number of their fellow servants and their brothers… who were to be killed as they themselves had been” killed. (such as Saul) during the years of the Jewish persecutions of the early Christians, ca. 30-64 AD. These martyrs were told to “to rest (“sleep” i.e. remain dead, see John 11:11-13) a little longer, until the number of their fellow servants and their brothers should be complete, who were to be killed as they themselves had been” killed. This resting in sleep is the only case of ‘waiting’ in these sections of Scripture. But it is not the “waiting” that Preston incorrectly sets forth. These martyrs described in Rev 6:9-11 are seen again in Rev 20:4 were they are included with others “who had been beheaded for the testimony of Jesus and for the word of God” who by that time had been killed because they “had not worshiped the beast or its image and had not received its mark on their foreheads or their hands.” Thus, the number “to be killed” was now “complete” as explained in 6:9-11. In his zeal to promote and establish his erroneous forty year millennium error, Preston has failed to do proper exegesis of Revelation 6:9-11 and Revelation 20:4. Because of this error in exegesis, Preston erroneously conflates 6:9-11 and 20:4 into one package instead of seeing them as sequential events, where 20:4 provides us with the “completion” of the promise given to the martyrs in 6:9-11. When the full number of martyrs had been completed; vengeance was taken, their blood was avenged “on those who dwell on the land” and the Resurrection of 20:4d occurred. The full measure of suffering had been fulfilled and the blood of the martyrs was vindicated by the destruction of those who dwell on the land and the dead belonging to Christ were regenerated and resurrected out of the dead as is stated in Rev 20:4d (see also 1Cor 15:23c and 1Thess 4:13-17). Why does Preston see “Past Martyrdom, the seating on the thrones,” as “indicating at least initial vindication?” If there had been any “vindication,” it would have been fully accomplished. There is nothing stated in this verse about any “vindication,” past, present or future. Where does Preston see anything about “waiting” in this verse?” Simply put, there is not the slightest suggestion of “a time of waiting” in this verse. Again, I ask the reader – were does the Bible teach a “millennial time of waiting” as stated by Preston here? The simple answer is – it does not teach such a notion, nor does it even imply that the Millennium is a “time of waiting.” Because of his zeal for an erroneous forty year millennium, he has confused the time “…to rest a little longer, until the number of their fellow servants and their brothers should be complete…” of Revelation 6:9-11 with the “thousands years” (millennium) of Revelation 20:4-7 where no such confusion is permitted by the text. 20:4, describes the later martyrs of the first century. Revelation 6:9-11 is the beginning stages of the filling up of the measure of the martyrs and Rev 20:4 describes the “completion” of the fullness of the suffering of the martyrs and their regeneration in the resurrection. According to Revelation 20:4d the “thousands years” does not occur until after Resurrection of 20:4d; therefore it most certainly is not in view in Revelation 6:9-11. The time of ‘resting in sleep’ provided in Revelation 6:9-11 has nothing to do with the thousands years of Rev 20 as that ‘resting in sleep’ which Preston refers to as a “time of waiting” is ended by the acknowledgement of the completion of the suffering of the martyrs and their resurrection of Revelation 20:4d! We have also demonstrated that the resurrection of Revelation 20:4d was sequential to Preston’s “the waiting time” of Revelation 6:9-11 not parallel to it as Preston erroneously asserts. And we have also demonstrated that Preston’s “millennial period” was not a ‘forty year period between ca. 30 – 70AD but that it would be a much longer period which actually began with the resurrection of the martyrs of the ages including the first century saints and their entrance into His heavenly kingdom (paradise) in AD 70. 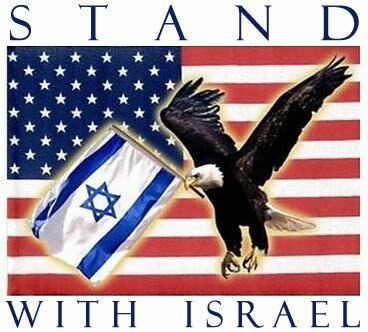 Stand with Israel? Who is the biblical Israel? 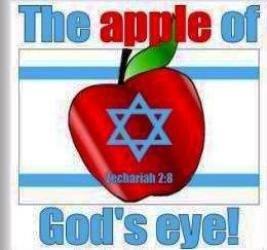 I grew up believing that Israel was God’s favorite country (also commonly expressed as “the Jews are God’s chosen people”), and the center of all God’s activity in humanity. Not only were they considered God’s “chosen” people, but we were taught that failing to support the nation of Israel would result in being cursed by God, whether you were an individual or an entire nation. This has caused much of American Evangelicalism to develop a blind love affair with the modern nation of Israel, who they see as the center of God’s past and future activity in the world. I believe that this theology of the “Church and Israel Distinction” is actually one of the most dangerous and destructive theologies in the world today. It is unlike many of the other “secondary” theologies that are privately held beliefs which do not impact others one way or another. Conversely, this theology is causing a great many Evangelical Christians to embrace violence, condone oppression, support torture, and is actually creating terrorism. Ironically, this theology leads one to support not Godly behavior, but instead embrace behavior that is anything but Jesus-like. The purpose of this post is to explain why this “pro-Israel” theology is ridiculously unbiblical, and how “standing with Israel” ironically causes one to stand opposed to God. I will give a brief overview of the basic tenants of this theology, the history of how it became popular within American Evangelicalism, why this theology is blatantly opposed to scripture, and why it is a major cause of terrorism in the world today. From this verse, and other passages from the OT, this theology states that there are two covenants in the world today, one with the ethnic descendants of Abraham and one with everyone else. Essentially, it claims that God has two plans, one for Jews and one for Gentiles. As a result, this theology necessitates that all of the promises God made to Israel in the OT must only be fulfilled via the ethnic descendents of Abraham. This theology, at the core, differentiates God’s plan for humanity based upon race. Beholders to this theology see the modern political state of Israel as the recipient of the promise God made to Abraham, and as a result, believe that we must unwaveringly support them lest we experience the wrath of God. Such attitudes have become deeply ingrained into Evangelical culture; I recall recently reading a Facebook post of a minister who said he was going to vote for the candidate that was the most “pro-Israel”, and “Stand with Israel” type rallies are quite common in Evangelical churches. Oftentimes in such culture, your level of support for Israel can be used as a litmus test as to how “Christian” you are. For those who grow up in churches that preach the Church and Israel distinction, this theology seems as if it is a normal part of orthodox Christianity, and never gets questioned. However, the truth is that this theology is a new theology and is not part of orthodox Christianity. This theology was popularized by denounced heretic John Nelson Darby in the 1800′s. Darby is considered the father of dispensationalism, which is a dwindling subset of American Fundamentalism. Dispensationalism is a collection of extra-biblical beliefs (such as the “rapture”) which is typically known by a preoccupation on the end of the world, and a pessimistic worldview. Among Darby’s heresies included this new idea that God had two, simultaneous covenants, one for Jews and one for Gentiles. Sadly, much of Darby’s teachings caught hold in the UK and eventually America, and turned much of American Evangelicalism from an optimistic, social justice focused movement into a pessimistic, end-times movement. However, Darby’s theology on Israel didn’t really take radical root in American culture until after the political state of Israel was born in 1948. Even then, the theology wasn’t all that popular until end-times writers created an entire new genre of literature in the 60′s and beyond, such as Hal Lindsay and Tim Lahaye. Once their books became popular, this new theology spread with such fervor that many now simply assume it has always been a central part of orthodox Christianity. It’s a new theology, and besides being an extremely racist theology, it is a very dangerous and destructive theology as well. Ex. 12:38 says it included a “mixed multitude” and that Israel included those who were not ethnically of Abraham but who had converted. The faithful spies in Numbers 32. Only two were faithful, and Caleb was an Edomite. Othniel, the first judge, was not an ethnic Jew. Moses was in an interracial marriage with a Cushite. Zechariah chapter 2 prophesies that Israel will include even more nationalities in the future. Simply put, the Old Testament never makes “Israel” an issue of race, as most Evangelicals do, but instead describes a group of people who have decided to follow God. Any person, of any race who decided to follow God, was included in Israel. It was never a race, but a religious community. The New Testament affirms and teaches that the people of Israel are not those Jewish by blood but those who have decided to follow Jesus. However, the “stand with Israel” movement rejects what is plain in scripture, instead insisting that God has a very specific, chosen race of people for which he has a special plan. Instead of the God who is not a “respecter of persons”, this theology creates a god who is severely racist- receiving people not on the basis of their hearts, but on the genetic origins of their DNA. The New Testament teaches us that Jesus created a new humanity. This passage is perhaps as clear as it gets, that there is no longer a distinction or separation between Jews and Gentiles; the previous barrier has been removed. “Therefore, remember that formerly you who are Gentiles by birth and called “uncircumcised” by those who call themselves “the circumcision” (that done in the body by the hands of men)— 12 remember that at that time you were separate from Christ, excluded from citizenship in Israel and foreigners to the covenants of the promise, without hope and without God in the world. 13 But now in Christ Jesus you who once were far away have been brought near through the blood of Christ. In this we see, that it was God’s intention to completely remove any separation which once existed between the categories of “Jew” and “Gentile” and that as far as God is concerned, there is a new humanity where all are included together. However, the Stand with Israel movement rejects these passages, instead insisting that a barrier still exists, where God has one distinct plan for ethnic Jews and a separate plan (covenant) for Gentiles. I can think of no other more racist position that stands opposed to the truth of scripture. Jesus was the fulfillment of the Old Testament, including God’s promise to Abraham. In fact, even Abraham himself knew this– in John, Jesus tells the religious leaders that Abraham “rejoiced to see my day”. The life, death, and resurrection of Jesus was a blessing to the world more than any other event in all of human history– and this was the fulfillment of God’s promise to bless the whole world through Abraham. However, this theology argues that the promises to Abraham have not been fulfilled, and that they will only be fulfilled in the future, via his own bloodline. Such a position completely reduces the purpose and work of Christ, as if it wasn’t enough to fulfill the promises made to Abraham. (a) This is a very new theology, and is not part of historic, orthodox Christianity. (b) This is a theology based upon race, even though Israel in the OT was not a pure race. (c) This is a theology which in many respects, argues that there are two paths to God- one path for the Jews, another for Gentiles. (d) This is a theology which requires one to completely dismiss countless New Testament teachings which, very clearly state, there is no longer a separation between Jews and Gentiles. If this were all there was to it, you wouldn’t hear a complaint from me because it would be a relatively harmless theology. However, this is actually a damaging theology that is making the world more dangerous, violent, and oppressive. 1.By saying that you “Stand with Israel” you are, by definition, saying that you “stand against” the Palestinian people. Jesus calls us to love our neighbors, not to stand against them. By supporting Israel as she has continually taken land away from the Palestinian people, we have contributed to a massive crisis of refugees without a home. This has led us to stand with the oppressor, not the oppressed, as scripture commands us. By supporting settlement expansions in Israel, we are supporting the Israelis breaking the law. We cannot say that undocumented immigrants in our country need to “respect the law” while supporting Israel’s daily refusal to obey international laws. That is ridiculously hypocritical. This theology requires you to reject the role of “peacemaker” as Christ commanded. Almost every time the US has attempted to broker a peace deal in the middle east, I’ve seen the pro-Israel folks take to the internet to condemn western leaders for making any compromises or dividing any land. I’ve heard preachers say that to obey the Bible (citing Joel) means that we are forbidden from sharing the land with outsiders. In fact, many churches in America actually donate money to help fund these illegal and oppressive settlements. These attitudes do not reflect the love of Jesus, the role of peacemaker, and are not “Christian” attitudes. This theology requires us to oppress other Christians. There are more Christians living in Palestine than in Israel, and when we support violence and oppression against the Palestinians, we are supporting the oppression of our own brothers and sisters. This theology is making the job of missionaries throughout the middle east and Muslim world, more difficult. Because Christians consistently and blindly support Israel, regardless of how oppressive they are towards the Muslim community, we have damaged our witness within the Muslim community. As if missions to Muslims were not difficult enough already, our support of their oppression only adds to the level of mistrust and resentment– making the job of our missionary brothers and sisters all the more difficult. By supporting Israel, we are supporting a nation that is consistently guilty of torturing children and other human rights abuses. According to a recentUN report, over a period of 10 years, thousands of Palestinian children have been kidnapped, tortured, used as human shields, and killed by the Israelis. In addition, they have also been found to have forcibly sterilized Ethiopian immigrants which has reduced the Ethiopian community in Israel. If these sorts of human rights abuses were happening in any other country, the United States would be pursuing sanctions, or war. However, the fact that this theology has been forced into national discourse as a litmus test for many politicians, we continue to support this abusive nation. This theology is one of the root causes of the world’s terrorism problem. Why do “terrorists” hate us? Well, it’s not because of “freedom” as many politicians will tell you– it’s actually because of the US foreign policy towards Israel. Israel has become a bully in the middle east, killing and oppressing Muslims without even a hint of accountability from the west. The Muslim world has watched us support a bully, all in the name of our “God”, and it has grown to hate us as a result. This theology is actually creating and fueling terrorism- the same terrorism that caused 911. It has played such a significant role, that I hold preachers likeJohn Hagee as responsible for terrorism as the terrorist themselves. Really, you ask? Yes. The very powerful evangelical voter block, which largely has been infiltrated by this bad theology, insists that the candidates they support be unwavering supporters of Israel. As a result, US foreign policy towards Israel has been built on bad theology instead of sound reasoning. Want to curb terrorism? We have to stop blindly supporting Israel and start caring about the rest of the middle east. We have to get people like John Hagee off the air before he incites World War III over bad theology, and little more. Stand with Israel theology is causing church’s in America to funnel money to illegal terrorist activities (expanding Israeli settlements) instead of using that money to help the poor and oppressed. We have been duped into sinning by misusing our money and neglecting the needy among us. In the year 2010 alone, American Christians gave over $100 Million to charities in Israel- funding terrorism and oppression instead of tending to the poor and needy in our own communities. In summary, maybe you or someone you know is caught up into this “pro-Israel” theology. If that’s the case, I would challenge you to consider that such a position is incredibly racist, and if true, makes God a racist too. You must be willing to consider, that simply because you have been taught this theology your whole life, does not make it true. God does not have two-plans, one for a specific race of people, and one for everyone else. He has one plan, and his name is Jesus. While some “secondary” theologies are harmless, this one is not. This theology is a new, and dangerous theology which has created, and is directly responsible for, a great deal of terrorism in our world today. and we must reject those things. We must reject this theology. Should we “stand with Israel”? But ONLY if that also means we stand with Palestinians, Iraqis, Syrians, and everyone else in the world.